GreenPak Coop, the largest waste recovery system in Malta, announced that 2016 was its best year yet. This success follows increases in its membership base as well as increases in the tonnage of packaging waste collected and recycled. 2016 also marked the first full year of GreenPak operation in the Waste Electrical & Electronic Equipment (WEEE) scheme. In the last quarter of 2016 GreenPak also launched BATREE, its battery waste collection and recycling scheme. All this activity together with an efficient operations lead to GreenPak declaring the highest surplus to date. 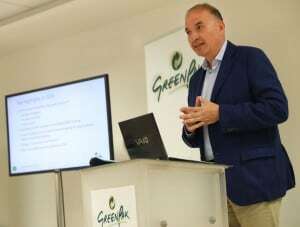 During the Annual General Meeting held at Kooperattivi Malta in Qormi, GreenPak’s President Mr Victor Galea said that its members had declared: “20,381, tons of packaging waste placed on the market of which more than 13,200 tons were recycled.” The amount exceeded the minimum national target set at 55%. 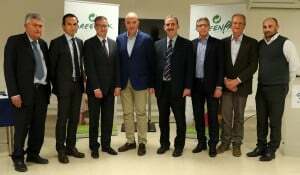 Mr. Victor Galea said that GreenPak should be proud of this achievement and added that in its first year of operating the WEEE scheme GreenPak had collected 568 tons of the 3990 tons of electronic waste declared by its members. “The GreenPak Cooperative model is working well and GreenPak members should be proud to form part of this co-operative”. “The 2016 operations has yielded the highest surplus of funds generated to-date. The surplus equating to 32% of fees paid will be distributed to the co-operative shareholders as patronage refunds,” Mr. Galea added. The financial results of GreenPak were audited by PriceWaterhouseCoopers (PwC). CEO Ing Mario Schembri said, “GreenPak strengthened its leadership in waste recovery as the cooperative continued to develop three areas of activities, namely packaging waste, WEEE and the BATREE schemes.” Mr. Schembri announced that over the next two years GreenPak’s bring-in sites’ infrastructure will be upgraded whilst by the end of this year more than 500 battery recycling points will be available across Malta and Gozo. Ing Schembri added that GreenPak is committed at improving its existing collection systems and as an example he cited the fact that within a short time of launching the BATREE scheme 200 collection bins in schools, shops, supermarkets and Local Councils were available to the general public to dispose of their used batteries. By the end of 2017 GreenPak have targeted having 500 battery collection points available across Malta and Gozo. “Looking ahead, GreenPak is conscious of Malta’s Waste Management Road Map and the ongoing changes in EU waste regulations. The landscape around us keeps changing yet we are confident and determined to provide Maltese companies with the best solution to fulfil their extended producer responsibility (EPR),” concluded Ing Schembri. GreenPak’s elected new Committee Board is composed of Mr Victor Galea, Executive Director of VJ Salomone Marketing Ltd, Mr Denis Zammit Cutajar, CEO of P. Cutajar & Co Ltd, Mr Edward von Brockdorff, Director of Von Brockdorff Imports Ltd., Mr Pierre Fava, CEO of Kemimport Ltd., Mr Brian Galea, General Manager at GSD Marketing Ltd. Mr Lionel M. Cassola, Company Secretary of G.A. Enterprises Ltd., Mr Norman Aquilina, Group Chief Executive at Farsons, Mr Peter Martin, Director at Attard & Co Food Ltd.